We have been getting all your requests, and your wish has been granted! We are super excited to announce this amazing new upgrade to the LIFT System. 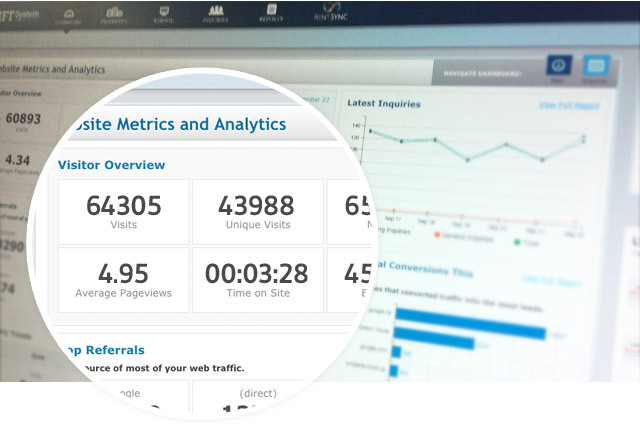 You've heard about the numbers your site generates, and now we're showing you. Improved dashboard with better charts and numbers to showcase at a glance your website's traffic and trends, with links to full reports. 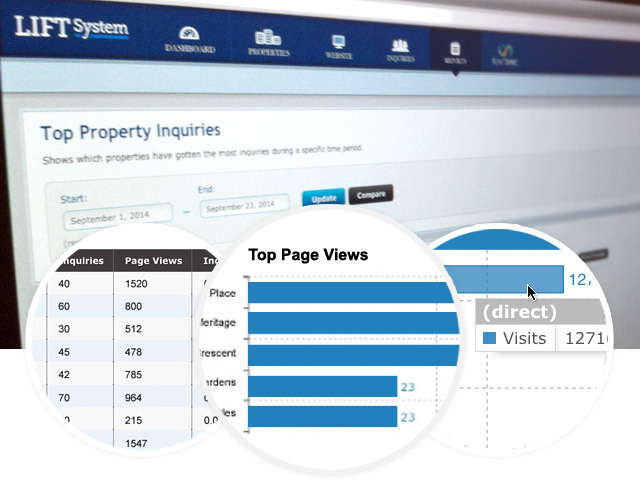 Know which properties are getting the most views, and compare your page views with the leads generated from your website. Giving your traffic sources credit for leads to your website. With the conversion sources report you can see which sources are converting their traffic into the most amount of leads. Compare your leads with past days or months. Plus, learn which devices your prospects submit inquiries from, when during the week and what time of day they contact you. We think you will like the updates and tools we've made. Log into the LIFT System to see the collection of reports that we've built for you. This release only marks the beginning of our mission to present you with data that will provide you with insights to help make better decisions. You can influence what reports we build next! Simply by giving us your feedback, let us know what you think and what you really want to see! Talk to one of our team members or click on the 'Give Feedback' button in the bottom left corner of your screen when logged into the LIFT System.